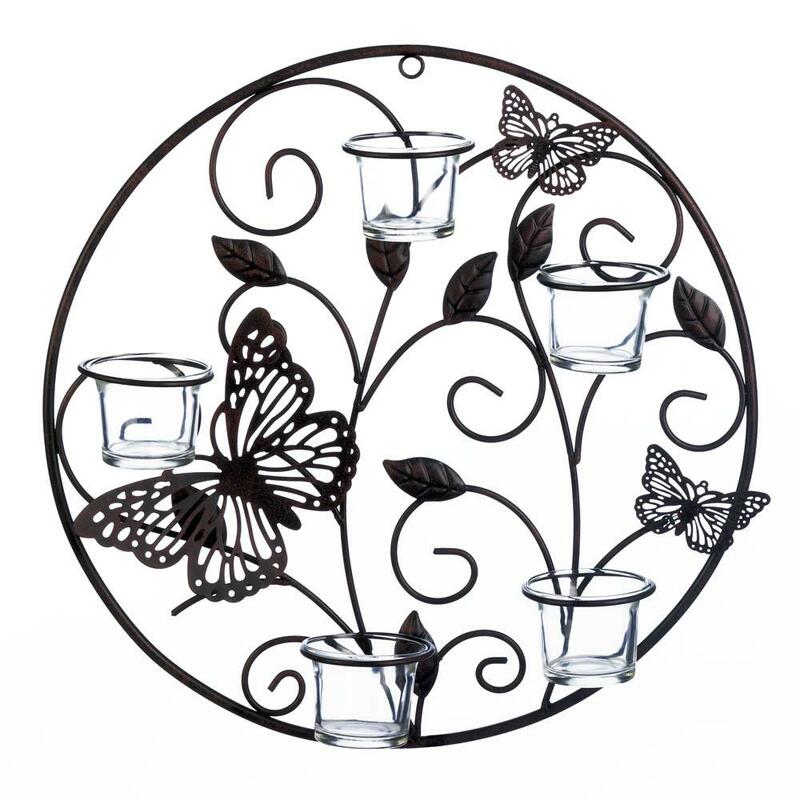 Butterfly Candlelight Wall Sconce, features beautiful butterflies and glowing candlelight that make this iron wall sconce a must-have for your stylish space. 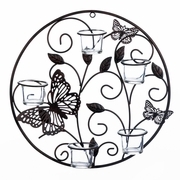 Fill the five glass candle cups with the candles of your choice and enjoy the glow! Glass and iron. 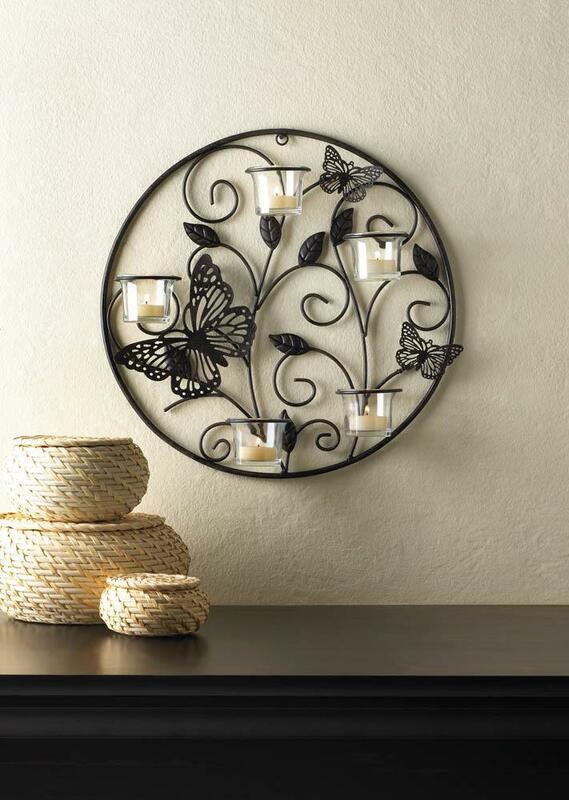 13.8" x 13.8" x 2.75" Candles NOT included.